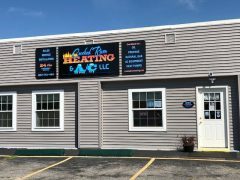 Crooked River Heating | Keeping you warm in the Winter and cool in the Summer! Call today (207-743-0911) or use the online form under the Contact Us tab to set up an appointment. Keeping you warm in the winter and cool in the summer! We service most towns/cities in Cumberland, Oxford and Androscoggin counties. We are ALWAYS available by phone…NEVER hesitate to call us before or after hours!! 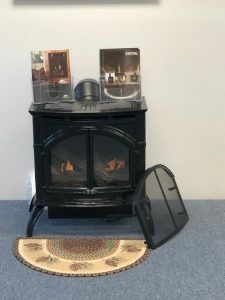 Stop into our office and see the other products we have on display! We also have our 2019 Wall and Desk calendars available! Welcome to Crooked River Heating & A/C’s website and we look forward to being your heating and air conditioning installation and service provider. 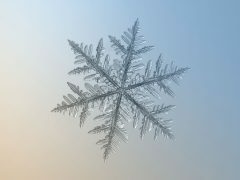 We provide installations and service in most towns/cities located in Cumberland, Oxford and Androscoggin counties. We provide Tune Ups, Installations & 24/7 Emergency Heating and Air Conditioning Service!! Our Annual Cleaning Special is over for 2018! Watch your mailbox in the Spring for the Annual Tune Up Special postcard that will be mailed out around 29, 2019. As soon as you receive your postcard, give us a call to schedule your cleaning as our calendar fills up very quickly. Not on our mailing list? Give us a call and we will take right care of that for you!! Don’t see your heating/air conditioning unit on our postcard? To check out the pricing on other products, click on the Services tab and then click on Specials or give us a call!! *Is the emergency switch turned on? *Do you have oil/propane in the tank? FREE estimates! Call today (207-743-0911) or use the online form under the Contact Us tab to set up an appointment. Would you like to be able to set your heat from your computer or smart phone? Imagine if you live out of state and you are on your way to your house in Maine, you can log into your account and raise the temperature so your house will be nice and warm. Or you have started back home and remembered that you forgot to turn the temperature down….use your smart phone to take care of the issue!! Give us a call to discuss this fantastic feature!